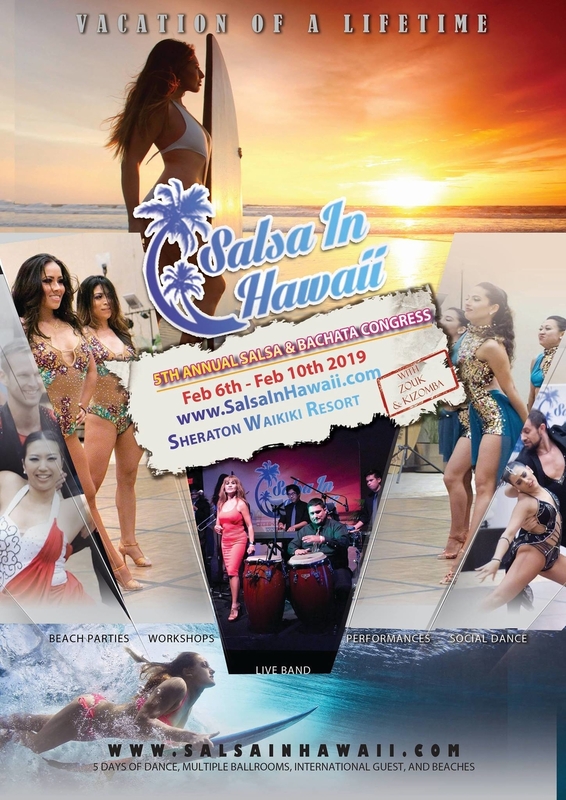 Salsa In Hawaii: 5th Annual Hawaii Salsa & Bachata Congress *With Kizomba and Zouk! brings dancing straight to paradise! Get ready, because some of the best dancers on the planet will be here in beautiful, tropical Hawaii 2019. The 2019 congress will a include beach party/workshops/performances/social dance parties and more special guest from around the world. For updates on location, time and performers/instructors please subscribe to our email list. You don’t want to miss this!